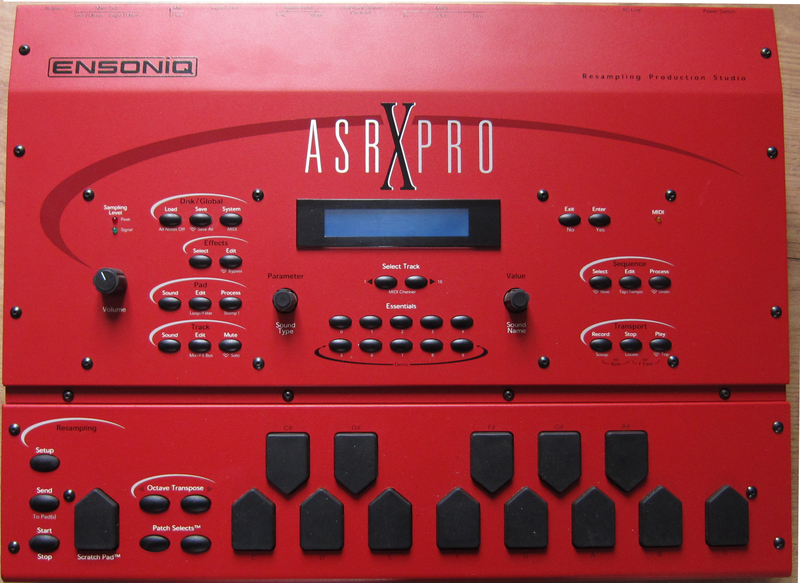 The ASR X pro is classic sampling/MIDI Sequence for under $300. It has built-in effects to give your samples flavor with: EQ, Reverb, Chorus, Flanger, DDL, Distortion, Tunable Speaker, Chatter Box, Vocal Morph, and Auto-Wah. Sequencing is pretty simple and hands-on. What separates the ASR-X Pro from the ASR-X? The Pro has a SCSI interface for data storage to disk or drive. In this video you'll learn the best way to setup your ASR X Pro how the buttons work and we explain the operating system so you understand how the machine works then we sample, sample edit, loop it add a drum beat to the track then change the drum kit while the sequence is running so we can choose which kit works best, I also play the pads like a keyboard using the internal sounds then it's time to save and load your samples to 3.5 floppy disks. This DVD covers everything you need to know to use your ASR X Pro and we're sure once you see it it will be easy to master this unique instrument from ensoniq.